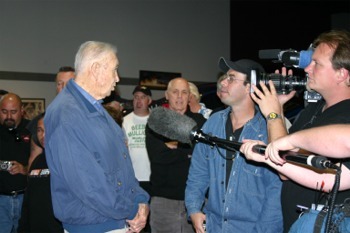 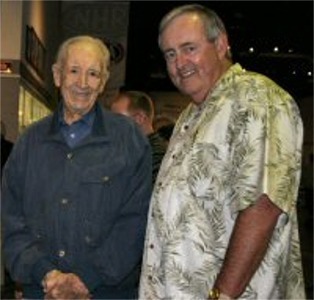 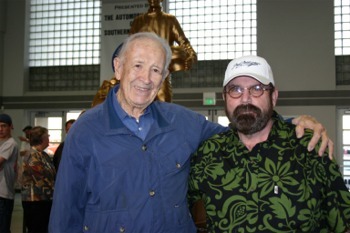 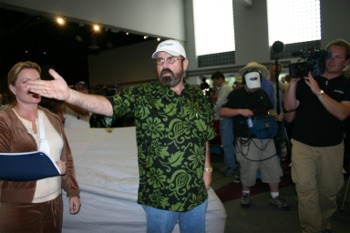 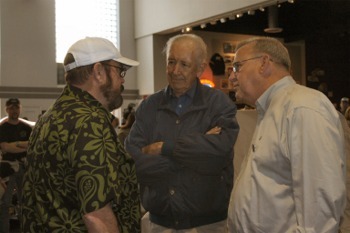 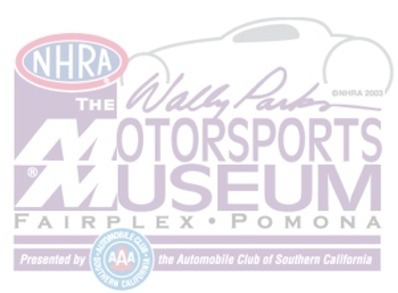 The car has been the subject of Coddington�s Discovery Channel show lately, and the unveiling at the museum will be shown on Fri., May 27�It�s beautiful,� said Vern Hildebrandt, who hadn�t seen the final version of the car and was as surprised and awed by the finished product as was the crowd. 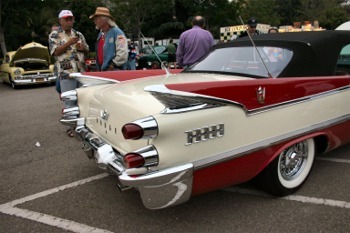 �It�s beautiful,� said Vern Hildebrandt, who hadn�t seen the final version of the car and was as surprised and awed by the finished product as was the crowd. 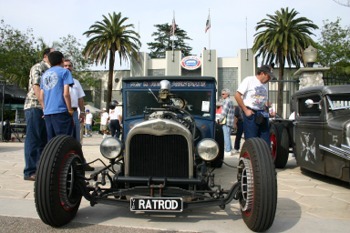 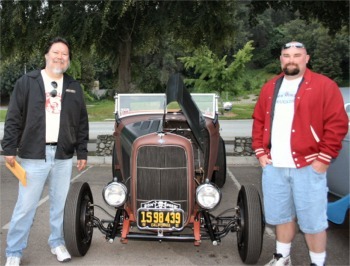 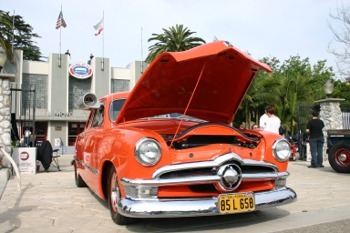 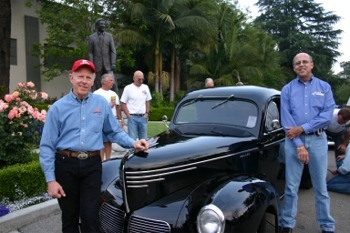 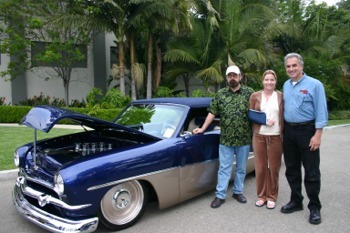 Sharp, the curator of the Parks Museum, presented by the Automobile Club of Southern California, told everyone for weeks about a �major surprise� at Cruise Night, but no one expected that Coddington, the legendary street rod builder, would unveil a vehicle he has been working on for his TV show, American Hot Rod. 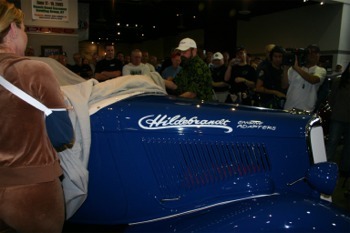 But sure enough, Coddington and TV crew were there in front of a packed (and curious) crowd, lifting the sheet on Dennis �Hildy� Hildebrandt�s gorgeous blue restored 1934 Ford Roadster, now owned by his son Vern. 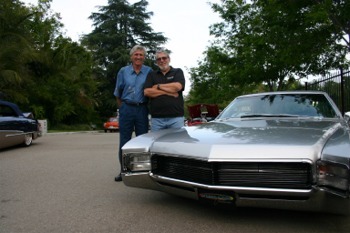 Sitting right across from the �51 was Gil and Janet Losi�s winning �67 super-sleek Buick Rivera, which was tabbed by drag racing legend Bob Muravez (or was it Floyd Lippencotte Jr.?). 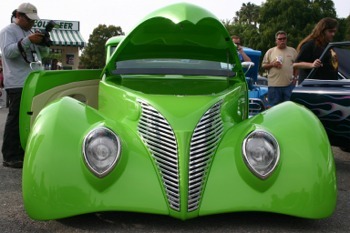 �These are my favorite type cars and this one is awesome,� Muravez said. 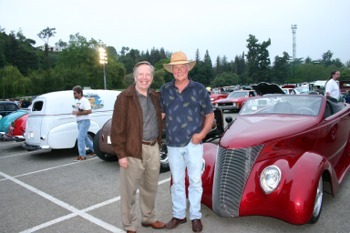 Not a surprise was the size of the crowd and amount of great vehicles which, as usual, filled two parking lots at the Fairplex in Pomona for Cruise Night. 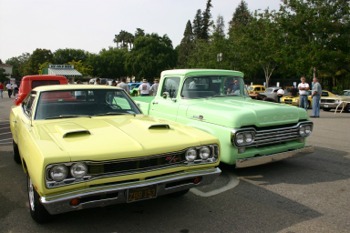 In April, the Museum had the largest Cruise Night opening in its six-year run, and this second installment was another heavily attended event with 363 cars and about 1,000 people. 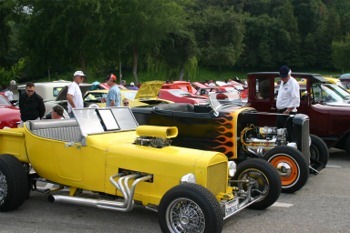 The theme was �Flatheads,� but as always, there were super examples of rods and muscle cars from several different eras.